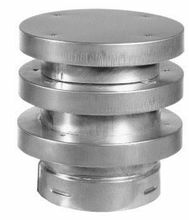 Amerivent Direct Vent Vertical Cap, available in 4" and 5"
Use for vertical venting applications. Corrosion resistant construction with stainless steel inner wall. Low-restriction design improves efficiency.